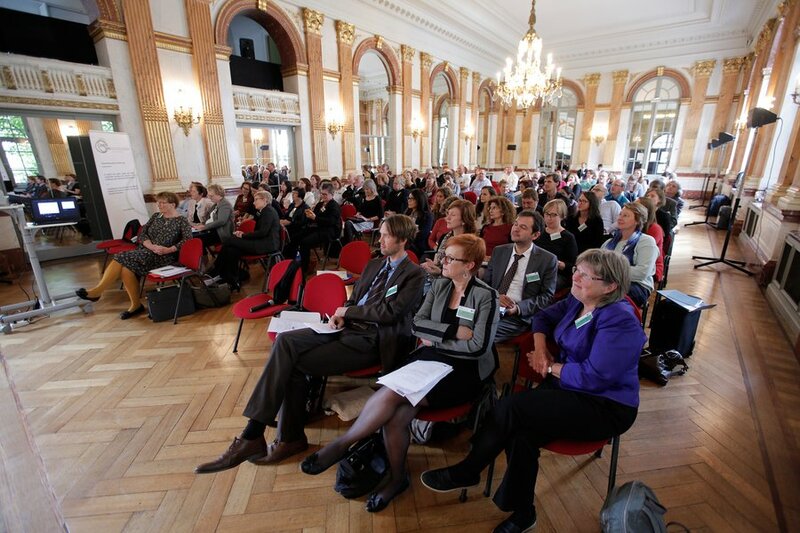 The final conference of the IntlUni project was held in Brussels, in the grand surroundings of the Salle des Miroirs in the Brussels Parlement, on 24th September 2015. 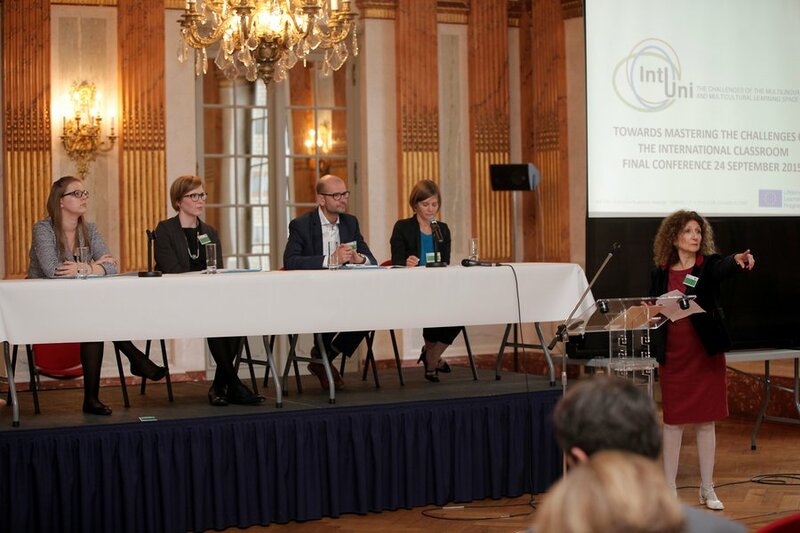 This final showcase meeting celebrated the close of the project with the publication of the final report, including IntlUni’s recommendations for addressing the challenges and opportunities of the international classroom. 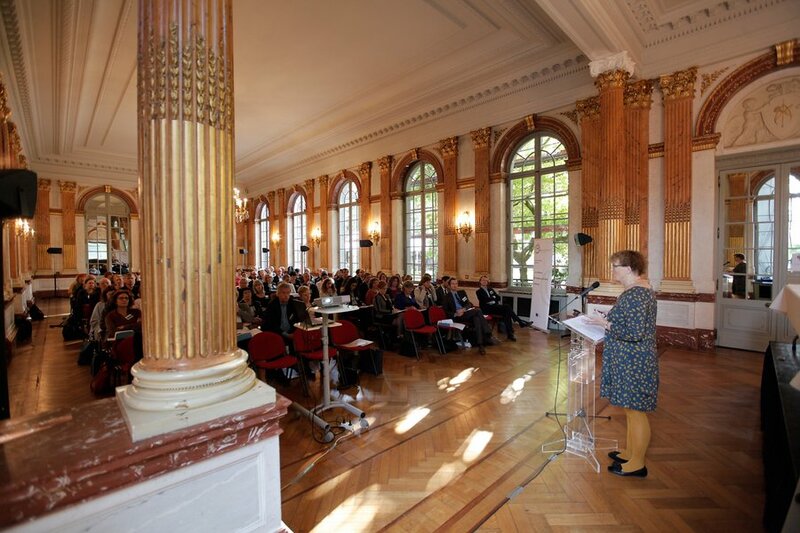 It is the culmination of three years’ work by 38 partner institutions across 27 European countries. Panel 2: Higher Education Leaders. 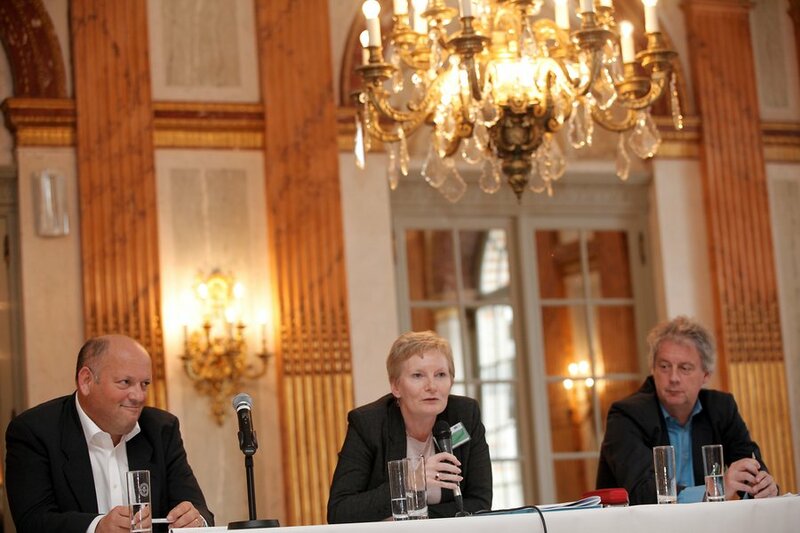 The event, ‘Towards mastering the challenges of the international classroom,’ was attended by over a 100 participants from the 38 partner institutions, as well as external experts, higher education leaders and representatives from key European associations. It was a day of rich discussions, plans for future work and partnerships, and optimism for the implementation of internationalisation programmes and curricula across Europe. The day opened with words of welcome from Campus dean, Tom Van Puyenbroeck, from Faculty of Economics and Business, KU Leuven, in Belgium, as host of the meeting. Then project coordinator, Karen M. Lauridsen from Aarhus University, kicked off the event by giving an overview of the origins, rationale and methodology of the project, noting that “as the project draws to a close, this is a sad but proud moment…we’ve had fun and it’s been hard work too!” She went on to outline how the project started out by identifying challenges in the international classrooms across the IntlUni network, then progressed to capturing examples of effective practice across the partner network. Data analysis of this rich information-set then led to the formation of principles for addressing challenges in the international classroom and a set of recommendations for HEIs, national/regional authorities and European actors. The recommendations and principles were published online that day in the project’s Final Report. The session continued with the presentation of the IntlUni principles and recommendations. 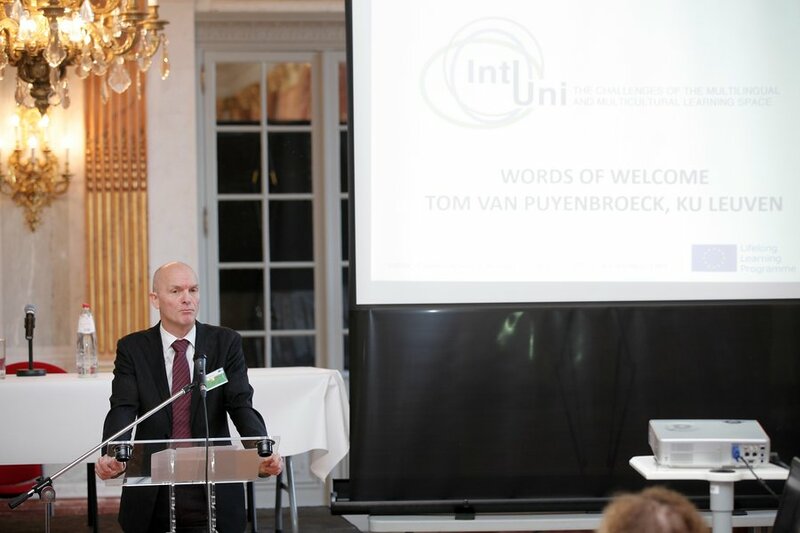 Kevin Haines, project partner from the University of Groningen, outlined the IntlUni principles, the “foundation stones” of the project. He described how the quality principles, derived from examples of good practice submitted by the project partners, can help “manage the encounter” in the multilingual and multicultural learning space and create a “positive exchange process” that will transform the institutional environment, educational processes and the students’ educational outcomes. Emma Dafouz Milne, partner from Complutense University, Madrid, emphasized how the IntlUni recommendations target not only the three dimensions within the HEIs (the institution, the HE teachers and the students), but also the national or regional and European levels. 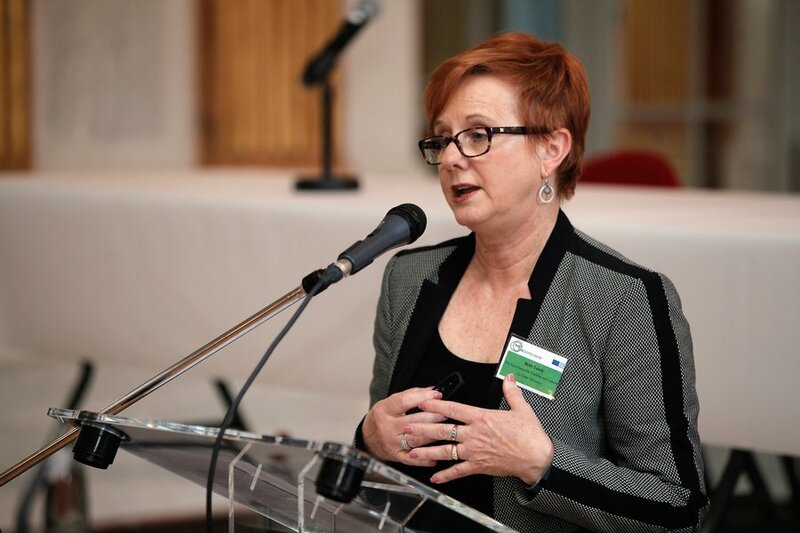 Given the complexity of the multilingual and multicultural learning space and the diversity in institutional settings across Europe, the recommendations – such as creating inclusive language and culture policies, providing professional development programmes or fostering internationalized curricula – should be viewed as a set of guidelines to be taken into account, negotiated and suitably implemented in their respective local contexts. The third panel included representatives from all the four major European associations: Monica Steinel (European University Association), Marc Vandewelle (European Association of Institutions of Higher Education), Paula Ranne (European Association for Quality Assurance) and Karolina Pietkiewicz (European Students Union). This panel promised to bring the document to policy discussions and work to lower barriers to the implementation of its ideas. The event was closed by Rapporteur and president of the European Language Council, Maurizio Viezzi, who stated that “the IntlUni principles and recommendations, rather like internationalization itself, are not an end but a means to an end, requiring further and ongoing engagement both within and beyond the network.” For project partners, the end of the project is only the beginning of an exciting journey towards consolidating and realizing effective international classrooms, programmes and curricula across Europe. So as IntlUni comes to an end, we are a network of colleagues saddened to goodbye, but very proud of what we have achieved and what we will achieve in the future, working to enhance and implement quality teaching and learning in the international classroom. Fuglesangs alle 4, Building 2621-B128a, 8210 Aarhus V, Denmark.